Teaching 1 Peter looks at the first letter from the Apostle Peter to a primarily Gentile audience scattered around Asia Minor. 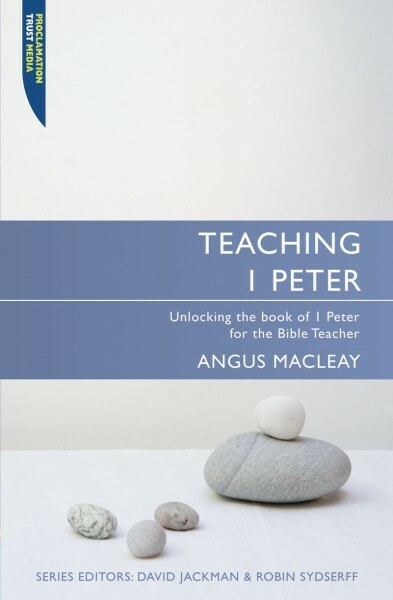 Angus enables the leader to explain the context of this letter and its relevance to a contemporary setting where Gentile Christians were surrounded by a pagan culture. He also enables the leader to apply practical theology to specific situations that still affect the church today. This is the latest addition to the Teaching the Bible series. Angus MacLeay is the Rector of St. Nicholas, a large Anglican Church in Sevenoaks, and is also a member of the Church of England General Synod. One of St. Nicholas' previous ministers was the poet, John Donne. The recent story of the church is told by the book The Church That Went Under.